The Self Watering Tower Garden is self watering. That's right! Self watering! It does what it says on the tin, or would do if it came in a tin. But why is this important when actually, plants love water and I quite like watering them too? Don’t know about you, but for me it’s a calming activity during which I contemplate life, the universe and beyond. This watering zen is the ‘ideal’ though and some weeks the ‘ideal’ is as rare as a blue rose. The plants will survive my inattention. The rub is that not only do plants love water but more than this they like regular water. Otherwise it can have a drastic effect on their output. Who hasn’t taken their eye off the ball and ended up with split tomatoes? Cue the Haxnicks Self Watering Tower Garden . So on those weeks when the cat needs the vet, the kids need new shoes and the fridge definitely needs a clean out the ingenious wick is doing what you can’t and keeping your plants happy and healthy. No more coming back to dejected looking plants and a guilty conscience. Problem solved. My Tower Garden is in its second year and the Vigoroot pots can be washed at the end of the season and stored flat by the organised gardener. I am not an organised gardener though (must have been one of those weeks) so I had just emptied them and stored in the shed. A quick brush off left them looking as good as new though and I was able to start planting. Not only does it solve your watering issues but it also allows you to grow a staggering amount of plants in a very small area. My garden is large but with building work about to start most of it is off limits for this season. The 3 layers allow me to have 12 x 5L pots in a tiny space. Each layer has 4 Vigoroot pots which air-prune the roots to give healthier plants with better roots that lead to higher yields. This entry was posted in Sarah & Guests and tagged Amateur Gardening, Children's Vegetable Patio Planters, Vigoroot, Vegetable Patio Planters, container plants, Vigoroot Herb Planter, Tomato Patio Planters, tomato, garden, gardening, cherry tomato, small spaces, patio, herbs on 27th April, 2018 by sarah talbot. Now I would like to share with you a new and rather different method of growing vegetables and in this case broad beans. I have been experimenting with air-pruning pots, coir growing mediums and self-watering systems for many years, and it gives me great pleasure to see our Haxnicks Vigoroot Pots, Growlite and Water Saucers now on the market and available for anyone to use. This very simple demonstration shows how to use these three products to grow some broad beans (an old favourite of mine best eaten smothered in melted butter). I sowed the beans in December, which is really much too early for broad beans. I wanted to see just how early the beans would grow if kept permanently indoors on large, bright windowsills (a bit of an experiment in itself). The beans were germinated in Haxnicks Growlite. They were then potted on in Growlite which is a coir based growing medium that I have experimented with, developed and perfected over roughly the past 8 years. 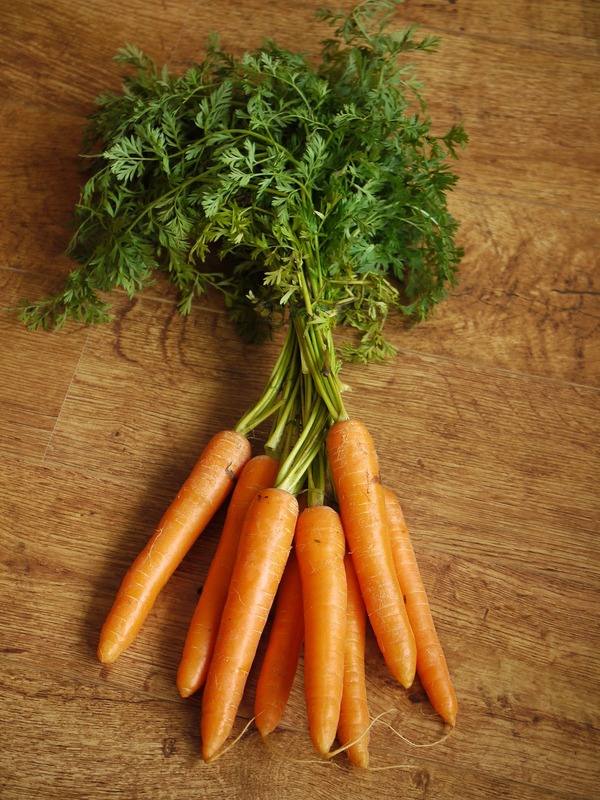 It has excellent water retention as well as good drainage and although it naturally contains only low levels of nutrients it can hold other added nutrients well and allows easy absorption by plant roots. Growlite includes various organic nutrients including seaweed and will feed a wide variety of plants during the first 8-10 weeks of their life. After this I simply add a little organic plant food on a regular basis to the water I give them. We make the Vigoroot pots from recycled polypropylene. The density of the fabric is designed to air-prune the roots of the plants. As the tips of the roots grow into the fabric, their tips die off (air-pruning), which stimulates the plant to grow more roots from its core, and these roots become more fibrous and are able to absorb more nutrients. The result is that the plants don’t get ‘root-bound’ and don’t need to be potted-on into larger pots, but grow larger, faster and healthier, producing more abundant crops. 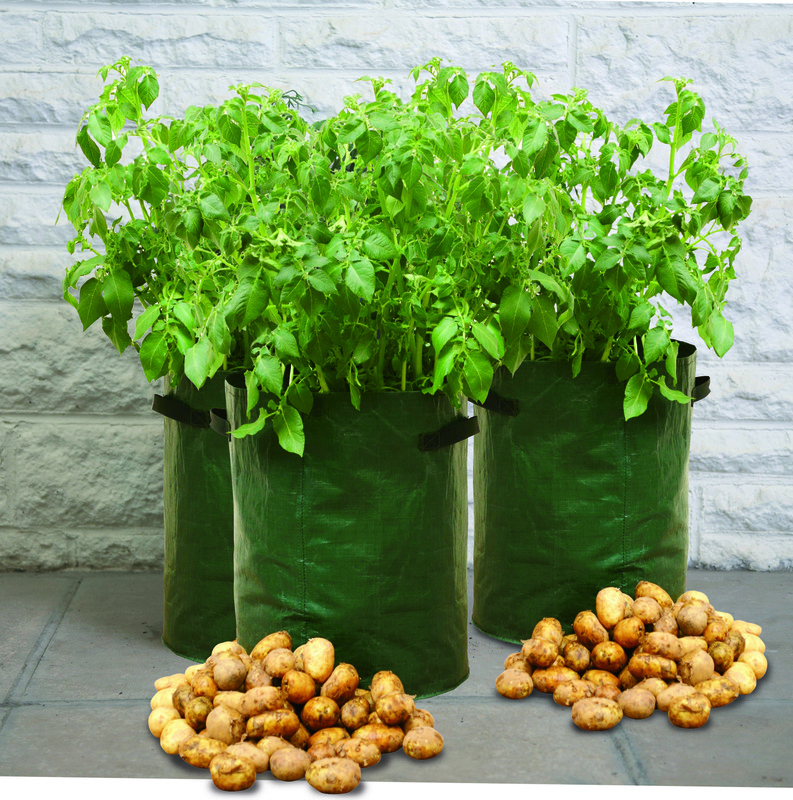 Vigoroot Pots work especially well for fruit trees and fruit bushes as well as flowers, herbs and vegetables. I used the new Haxnicks Water Saucers as a permanent watering and feeding system for the bean plants. Each Water Saucer comes with a capillary wick that is pushed up into the middle of the Vigoroot pot (cut a small hole first), and the plant then draws up the water through the Growlite and capillary wick from the water saucer, which needs topping up every few weeks. After the first two months I started adding a little Maxicrop plant food to the water. Obviously you can choose your plant food to suit the type of plants you are growing. As I had started growing the plants too early in the season, they didn’t get enough hours of sunlight during the first few months . Subsequently they grew a little too tall and ‘leggy’ as they searched for more light. I decided to cut them back to about half their height. Within a few days their energy was diverted to producing an abundance of flowers, which hopefully will start to turn into beans before too long. This whole system of growing plants using the Vigoroot Pots, Growlite and Water Saucers is remarkably simple to set up and incredibly ‘low-maintenance’. The plants require almost no attention other than a few kind words of encouragement every now and then, and their use of water and plant food is almost 100% efficient - very similar in fact, to a hydroponics set up. So far, the beans are growing beautifully, and look set to produce a great crop later in the season. This entry was posted in Grandpa Haxnicks and tagged air pruning fabric, Vigoroot, Vegetable Patio Planters, vegetables, broad beans, beans, hydroponics, early crop, Water saucer, Growlite, coir, potatoes, veg on 11th April, 2018 by sarah talbot. This entry was posted in Potty Gardener and tagged Carrot Patio Planter, Vegetable Patio Planters, Vigoroot Herb Planter, Tomato Patio Planters on 13th June, 2017 by Potty Gardener. After potatoes, courgettes (or zucchini if you’re across the pond), are one of the easiest and most satisfying vegetables to grow. Fast emerging seeds rapidly turn into triffid sized monsters with tropical looking flowers. Before you know it, you have a continuous supply of shiny green (or yellow) veg that can be included in every conceivable recipe from stews to salads, stir-fries to cakes. Pick a handful, turn your back and more will emerge in just a few days, and there are always the ones that get away. Those carefully camouflaged courgettes that lurk under the shady green canopy catch me out every year and before I know it I have a monster marrow to wrestle with. If you think you don’t have space to grow courgettes, then think again. If you think you don’t have enough space to grow courgettes in pots or bags, then think again. If you think what you buy in a supermarket tastes the same as a home-grown courgette, then think again. Or just stop thinking and grow some! It is remarkable that what I consider to be one of the hungriest, thirstiest vegetables to grow can be sustained in a very small growing space with the right care and attention. So, even if your only outside space is a balcony or a front doorstep you can still have a summer-long crop of deliciously nutty home-grown courgettes. You can plant up to 3 courgette plants in just one of our Haxnicks veg planters. It seems like a lot, considering how huge they will grow. The key to success is a good multipurpose compost, lots of water and nutrition. I use liquid Growmore to feed my courgettes, but any good liquid fertiliser will do the trick. A weekly dose seems to be sustaining them well. These particular plants are already dishing out a steady crop. Courgettes require lots of water, their huge leaves quickly droop if you haven't given them enough, so keep on top of watering. I grew my tropical looking giants from seed in Rootrainers on a warm windowsill back in February. I transplanted them into pots briefly until they had 2 pairs of leaves and a good strong stem meaning that they were strong enough to go out in the greenhouse and cope with the chilly nights. It was a little bit risky putting them out so early, but as I was growing some in time for Chelsea Flower show they had to be coaxed to magnificence in good time! This entry was posted in Grandpa Haxnicks and tagged Rootrainers, Vegetable Patio Planters on 1st June, 2017 by Potty Gardener. If, like me, you have had previous experience with horseradish, you will know that they seem to root everywhere and then you can never get rid of them. A contained planter like this one (pictured) will do the job. Use ½ manure and ½ compost as horseradishes love manure. I've actually placed the planter in the greenhouse to start it off. Manure is a wonderful thing, it feeds the plants and keeps them healthy and warm. In early February I put manure onto my raspberries, asparagus and in my vegetable patch, and also on my flower beds, roses and fruit trees. Can you think of any other vegetables or herbs that would benefit from this system of sowing/planting? Let us know in the comments box below! This entry was posted in Grandpa Haxnicks and tagged Vegetable Patio Planters, Madeleine's Corner on 7th March, 2012 by Haxnicks. Patio Planters that were once filled with beautiful flowering peas, towering tomatoes and luscious lettuces, are now completely bare - so, what now? Be careful if you've added any stones or gravel to the bottom of your planters - you may want to try and separate that from the rest of the compost before using it for another purpose. If your crops were unaffected by disease or pests then you could just leave the gravel mix in the bottom for next time. If you would like any further information or have your own comments, please feel free to add them below...* Mulch is 'garden jargon' for adding a protective layer over soil. Doing this helps to retain moisture, provide nutrients and suppress weed growth or weed seed germination. This entry was posted in Grandpa Haxnicks and tagged Vegetable Patio Planters on 7th December, 2011 by Haxnicks.